Jacking beams are great for extending the functionality of your BendPak four-post lift, and they're about to get a whole lot better. Install this helpful kit and elegantly hide the airlines beneath your lift's own runways. One AK-14 kit provides air infrastructure for two jacks. Note: Hose length varies depending on ​lift model. 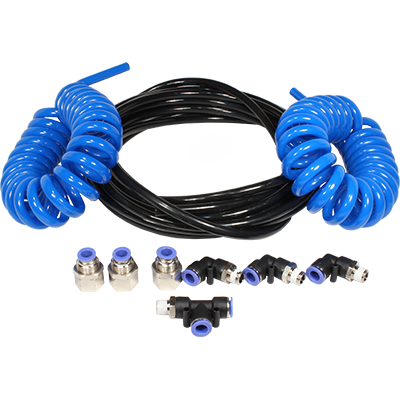 Order the appropriate Air Line Kit according to your lift model.